One resident described Putney rentalsmarket perfectly, “close enough for everywhere I need to go and far away enough that its quiet!” Putney could also be described as a safe haven for professionals who have outdoor sports like cycling, rowing, sailing and running. If you are looking for a local triathlon club you will have a number to choose from. Putney renters definitely benefit from its location being home to great parks and waterways in which to live those hobbies to the fullest. With average Putney rental prices in the low to mid £2,000’s which is actually more than 10% below the London average. There are plenty of properties for rent that Putney rentals keep moving in the market to afford a steady supply. Putney gives you a feeling of the country while being right within 20 minutes of Waterloo station. The Thames runs along the north boarder and she’s boarded by the south and west to some of the most beautiful of wide open green spaces. Each year one of the most coveted events begins on her river shores ; the Cambridge and Oxford Boat Race. Here you can catch a great glimpse at the epicenter on race day at The Dukes Head; and the Head of the River Race is another annual event not to be missed. For those not looking to take advantage of Putney rental flats that are economically priced there are a few of the mansion homes with 6 bedrooms along Castello Avenue and St. Simon’s to rent. These homes have picturesque gardens and are priced accordingly. The different architecture choices in Putney rentals are surprising; Edwardian, Georgian and Victorian with so many places having river views. Here there remain blocks of flats in addition to the mansion flats in Putney. For the true well established professional there are a number of high end Putney properties to choose from, with amenities that will be attractive to the active crowd in the area. Want to know more about Putney Rentals? 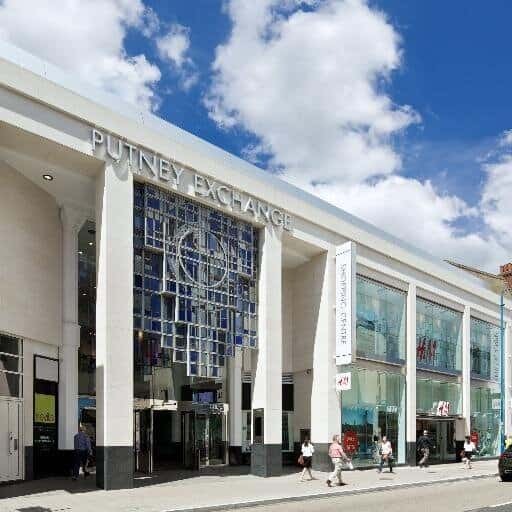 The Putney Exchange Shopping Center has all the high street stores a person could want located under one roof, it couldn’t be more convenient for shoppign. Once a month, on every first Sunday Putney Art Market is on the side banks of the river and is a great place to see new and old artisans alike down by Putney Pier. One favorite for lovers in Putney is Marco Polo Italian restaurant where it’s guaranteed to go well whether on a first date or a 10th anniversary. But if it’s an everyday affair you may want to sample the true British fare at Putney Pies, which has a great basement bar; The Whistle and Flute is a good stop for cocktails and if it’s the local genuine article you seek it’s a must to hit Arab Boy on Upper Richmond Road. Many a Londoner as well as the Aussie and Kiwi crowds hit the crazy, rock music all night spot of Redback Tavern after the pubs close; but if dancing is your design then Fez Club is your spot. Putney Heath is a great location from Putney rentals that still manages to stay intimate; with a cozy pub at its center it’s a favorite spot to enjoy the woods. The 2,500 acres Richmond Park is just south west of Putney and boasts the space for outdoor active lifestyles; it offers horse riding and a golf course, with adequate other areas for outdoor sports. There are two rail stations for the National Rail; Putney and Wandsworth Town that also services many of the Putney residents. The two Putney Tube Stations, Putney Bridge and East Putney serve The District, and Zones 2 and 3, and there are more than sufficient bus stops about town. On the Tube you are 10 minutes from Earls Court and 20 minutes to Piccadilly Circus, with just one switch. Putney station is a quick 15 minutes from Waterloo and there are many daily buses that travel to central, west and south London.